In 2017, China’s People’s Congress passed the first amendment to the PRC’s Anti-Unfair Competition Law (the “AUCL”). The revised law, which became effective on January 1, 2018, brought important changes affecting intellectual property rights owners not only in China but for those doing business in China as well. Significantly, the revised law prohibits a business entity from carrying out acts intending to cause confusion which mislead others into thinking that its products belong to another party, or that there is an association with another party. In the first major case involving a foreign company doing business in China, late last month, a Chinese court sided with British carmaker JAGUAR LAND ROVER who claimed that its Chinese competitor JIANGLING HOLDINGS CO LTD had misappropriated JAGUAR’s intellectual property. JAGUAR has been battling Chinese automaker JIANGLING throughout the world over JAGUAR’s assertions that JIANGLING’s LANDWIND X7 vehicle (left, below) copies distinctive design features of JAGUAR’s RANGE ROVER EVOQUE (right, below). The two sports utility vehicles have a similar shape, roof and windows tapering from front to back, and near-identical tail lights and character lines on the side paneling. On March 13, the Beijing Chaoyang District Court in China found JIANGLING liable for unfair competition under the AUCL in connection with the sale and manufacturing of the LANDWIND X7. 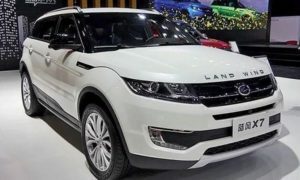 The Court found that certain design features of the LANDWIND vehicle are “essentially identical” to JAGUAR’s distinctive design features for the EVOQUE. JAGUAR’s action against JIANGLING was based on Article 6.1 of China’s 2017 law which prohibits trade dress infringement. To prove its case, JAGUAR had to show that its EVOQUE design elements were distinctive and had gained brand recognition for relevant consumers. Additionally, it had to show that JIANGLING used identical or similar design features on identical or similar goods; and, lastly that the similarity of the trade dress creates a likelihood of confusion among relevant customers. 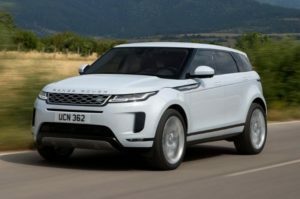 The Court found several features of the EVOQUE to be unique “decoration of certain fame,” including its sloping car roof, floating car roof and the contour of the whole vehicle. JIANGLING submitted evidence arguing that the design features were functional, but the Court found that evidence unpersuasive. The Court also found that JAGUAR’s advertising, its extensive sales and its awards, both in China and abroad, supported its claim that the design features of the EVOQUE were associated with JAGUAR and served as a source identifier for JAGUAR in China. To drive its point home, JAGUAR purchased and made available to the Court both a LANDWIND X7 vehicle and an EVOQUE vehicle during the course of the case. Based on the visual comparison of the two vehicles, the Court found that the two vehicles “are essentially identical” and include JAGUAR’s distinctive design elements. JIANGLING was ordered to pay JAGUAR damages and is banned from manufacturing, displaying and selling the LANDWIND X7. JIANGLING was also ordered to issue a public announcement on its official website and the China Automobile News to eliminate the negative influence caused to JAGUAR by JIANGLING’s acts. For manufacturers who have long complained of Chinese companies misappropriating their intellectual property, the LANDWIND X7 case may signal a new direction. However, caution is still advised. For more information, contact David Posteraro at drp@kjk.com or 216.736.7218, or reach out to any of our Brand Enforcement or Intellectual Property professionals.